Bruker’s Nano Surfaces Division today announced the release of a nanoscale scratch option for its NanoForce Nanomechanical Testing System. The new option brings the industry-leading low-noise floor, precision, and stability of the NanoForce to controlled lateral displacement between tip and sample during nanoindentation. 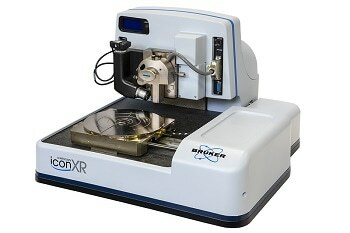 This significantly expands the platform’s capabilities to characterize the resistance of thin films and coatings to scratching, cracking, chipping, scuffing, and delamination, without compromising its ability to accurately investigate the uniformity of mechanical properties via instrumented indentation tests on nanoscale surfaces and structures over large sample areas. 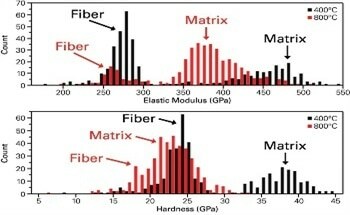 The NanoForce system already has a reputation of being well suited for testing of modulus and hardness of thin films and coatings with its standard dynamic testing methods. 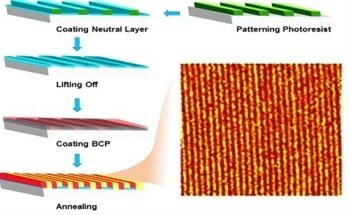 The addition of nanoscratch capabilities to perform characterization of other important thin film mechanical properties on a single, high-performance platform greatly enhances this legacy and positions NanoForce as an invaluable asset for the investigation of nanomechanical performance of new material systems. NanoForce has demonstrated superior capabilities for some of the most challenging nanoindentation applications in research labs. The new nanoscale scratch capabilities demonstrate our commitment to delivering the most advanced nanomechanical material testing and analysis solutions available anywhere. Leveraging the accuracy afforded by electromagnetic actuation technology, NanoForce is a nanomechanical testing system that delivers high sensitivity at industry-leading measurement speeds. NanoForce features powerful, user-friendly measurement and control software, which enables real-time experimental control based on recorded or calculated data. Built upon Bruker’s ubiquitous Dimension Icon® AFM product architecture, the innovative gantry design and hardware architecture provide excellent positional accuracy as well as acoustic and vibration isolation to establish an optimal testing environment for challenging nanoindentation applications in materials science. An optional 200 mm vacuum chuck offers convenience for the mounting of wafer samples, and built-in safety features protect the head assembly during translation of the X-Y stages.